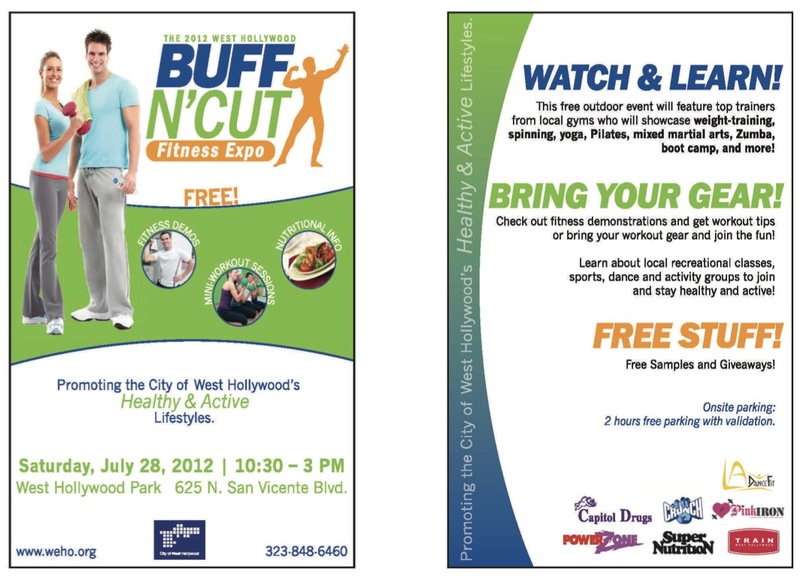 Join the West Hollywood Bicycle Coalition at the Buff ‘n’ Cut Fitness Expo! This free outdoor event will feature top trainers from local gyms who will showcase weight-training, spinning, yoga, Pilates, mixed martial arts, Zumba, boot camp, and more! Check out fitness demonstrations and get workout tips or bring your workout gear and join the fun! Lean about local recreational classes, sports, dance and activity groups to join and stay healthy and active!